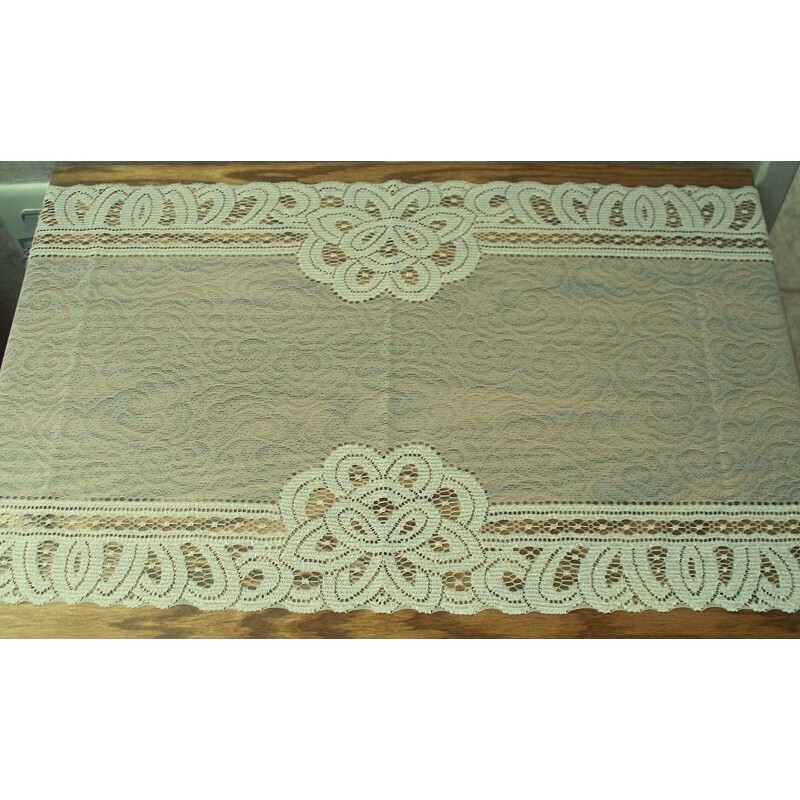 Battenburg Paisley 14x36 ivory table runner Oxford House. 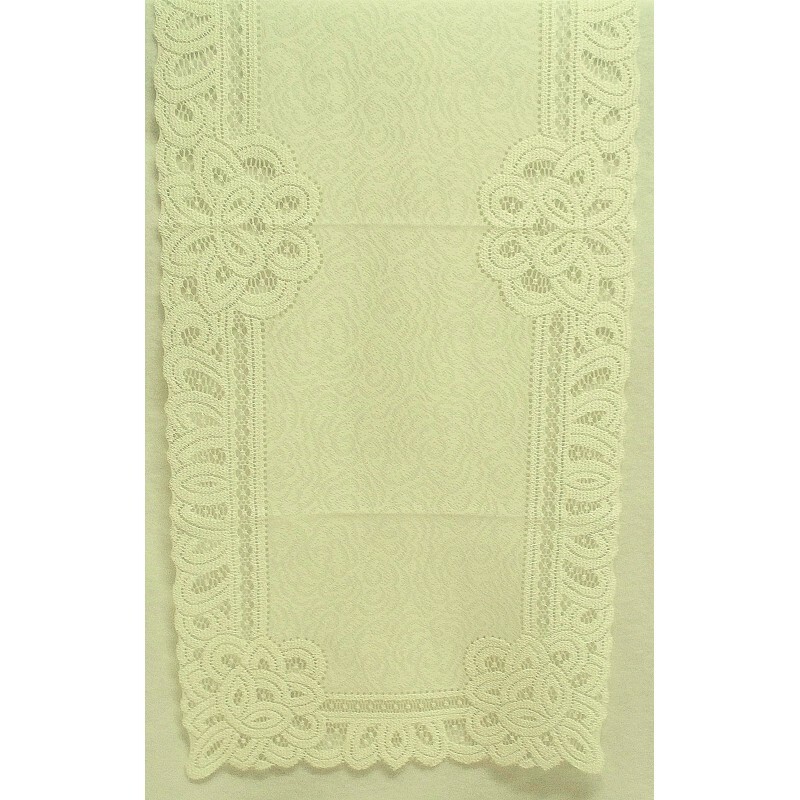 Presenting a lovely and sophisticated look of battenburg cut-out lace trim with like a sheer or fine material paisley look. This is all one piece. The lace is not attached to the sheer material. 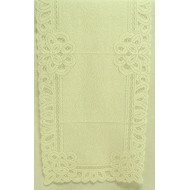 This runner is so elegant which has a slight sheen effect to the lace. Superb quality! 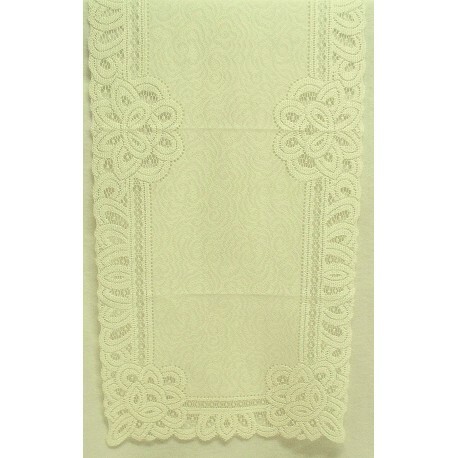 Fine to medium gauge lace.